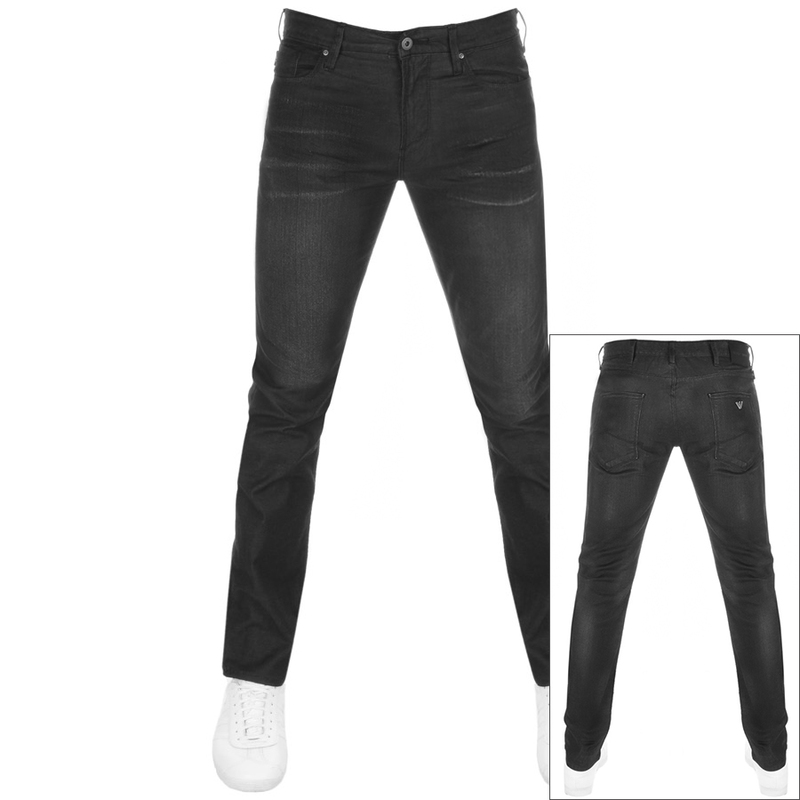 Emporio Armani J06 Slim Fit Jeans In Black, Slight fading to typical stress points with a crease effect to the thighs. A zip fly with a matte metal Emporio Armani top button fastening and seven belt loops on the waistband. A traditional five pocket design with two pouch pockets on the hips and a small coin pocket within the right pocket and two pouch pockets on the reverse of the jeans. The signature woven Giorgio Armani Eagle logo pinch tag is sewn onto the seam of the coin pocket in black and silver and the signature matte metal Giorgio Armani Eagle logo stud is situated on the reverse right pocket. The signature Emporio Armani logo embossed leather patch is situated on the reverse right of the waistband in black. Top stitching detail on all the seams in black. 99% Cotton And 1% Elastane. Fantastic New Emporio Armani Collection Of Trousers And Jeans Live. Excellent quality of jeans, quick reliable service. Very comfortable casual jeans with stretch. I had to go a size down from other jeans i wear.